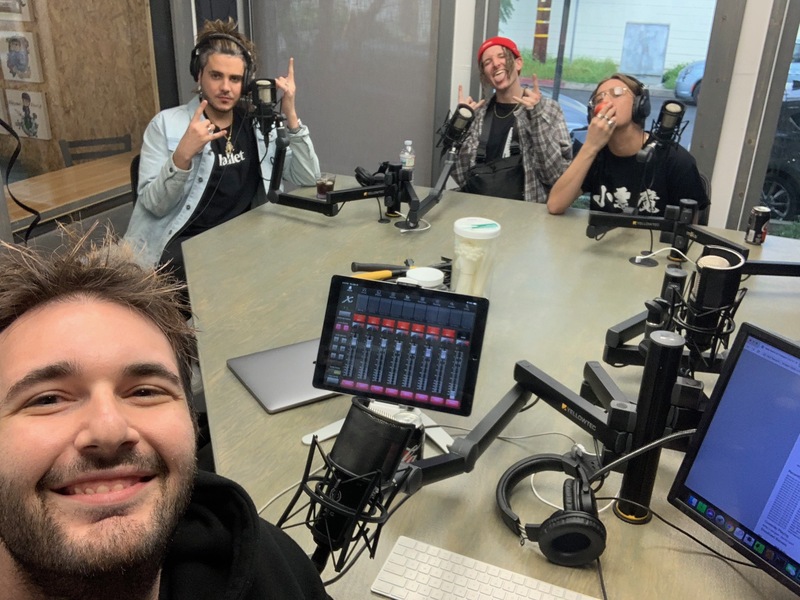 The (Chase Atlantic) boys were back in town so they came by to co-host! We talked about literally everything so you’ll just have to listen plus Egocheck called in to talk about his debut single and hear a bonus interview with Jaret & Kelly! Once again if you follow me on social media, know me, listen to my show or just are smart, you know I LOVE the Chase Atlantic guys and I was stoked we got to do this show together. Earlier in the day they came by the studio to perform a stripped down version of “LIKE A ROCKSTAR” and “WHAT YOU CALL THAT” which will be out in the near future then we did the damn thing live. Hear some outlandish stories of us hanging out since the last time we were on air together, some A+ tour stories from the guys, UFOs and most importantly what’s coming up for Chase Atlantic. I can’t put some of the stuff you need to know in text but if you listen you’ll be super hyped on what they allude to. It’s going to be a very big year for Chase Atlantic and you’ll hear why soon. Egocheck is sick! It’s a project from Dan Swank he just recently debuted and I love it. He has more music coming out this year but hear all about he started this, how he got into production and some hard hitting questions about everything. Someone I’ve adored forever and now am blessed to call a co-worker Jaret Reddick called in to talk about his new project Jaret & Kelly. You know him from Bowling For Soup, People On Vacation, so many theme songs and The Rockstar Dad Show on idobi (every Monday at 2PM ET) and now his new project is here to blow your mind. I get to nerd out about song writing, his musical history and more so listen all the way at the end.